There are plenty of features available in Google Chrome browser but no one can knows all the features. Because some features are hidden. 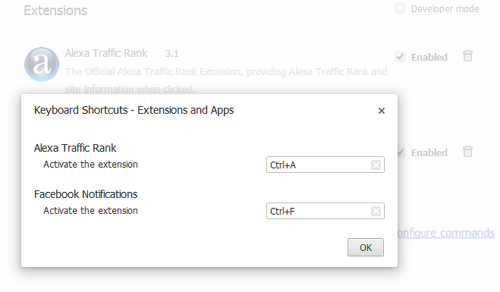 In Chrome browser users can assign shortcut key to open any specific extension. So no need mouse click to open extension on your chrome browser. That's all here after you can open extension by pressing shortcut key on your keyboard with out your mouse.